The production procedure is really easy, you simply require to follow the methods that we have actually created on this page. 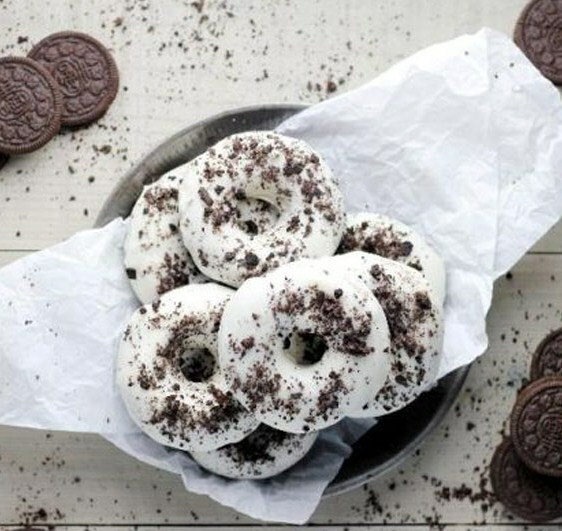 The adhering to are the stages of how to cook Baked Oreo Donuts. Because they’re baked instead of fried, these are an easy treat that can be whipped up on a moment’s notice — with no fuss or mess. Make the donuts: preheat oven to 350 F; grease two standard size donut pans. Whisk egg, buttermilk, butter, and vanilla in a medium bowl. Add all dry ingredients except the Oreos, and whisk until well blended. Gently fold in half the crushed Oreos (reserve the rest). Transfer the batter to a zip-top bag and snip an opening in the corner. Fill the wells of your donut pans about halfway. Bake for 10 minutes or until a toothpick tests clean; transfer donuts to a wire rack to cool completely. Make the icing: beat the butter, shortening, confectioners’ sugar, and vanilla until smooth and well blended. Add milk, one tablespoon at a time, until icing is still thick but pourable. 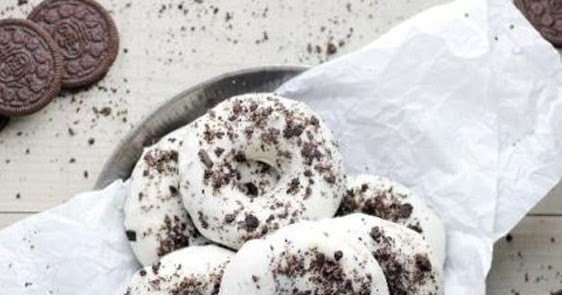 Dip cooled donuts into icing and place on a wire rack set over a baking sheet (to catch drips). Sprinkle with reserved Oreo crumbs and let set.